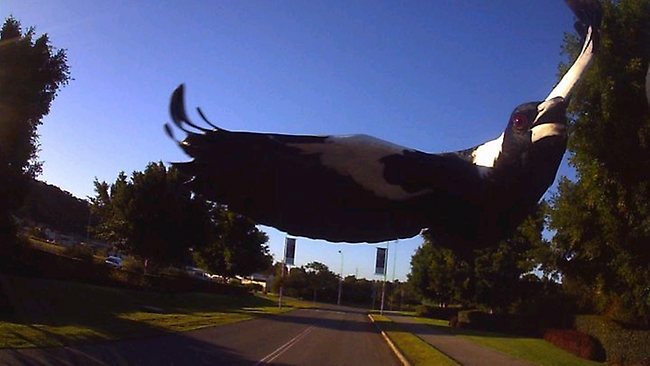 Posted on September 21, 2012 by Brendan Jones Posted in Pedagogy, Physical education, teacherstuff	. 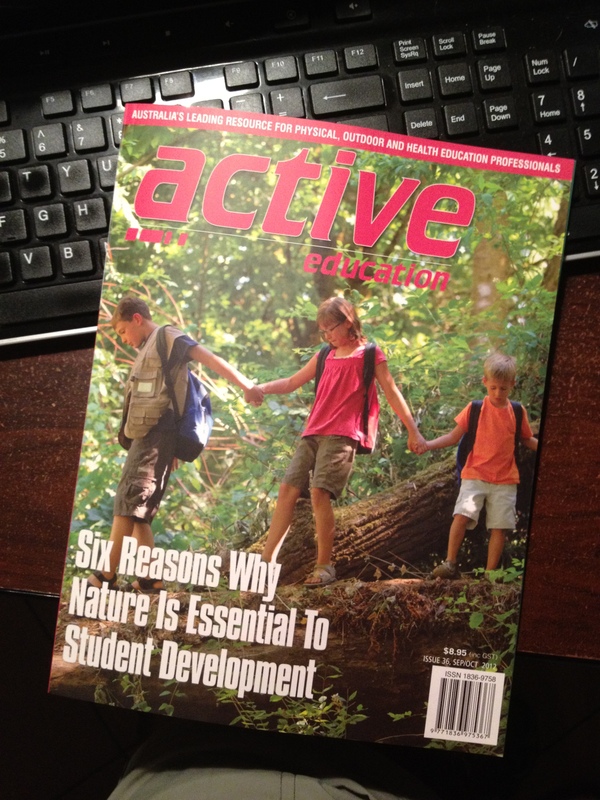 I came home tonight to find the latest edition of Active Education (AE) magazine waiting for me. Active Education has stories on Physical Education, Outdoor Education, Coaching and nutrition for those involved in health and physical activity. It is locally produced and promotes mainly Australian venues and products but the articles have an international application. I like the Active Education mag because it usually has a good balance of research based articles and pieces written by people in the classroom talking about what works for them. 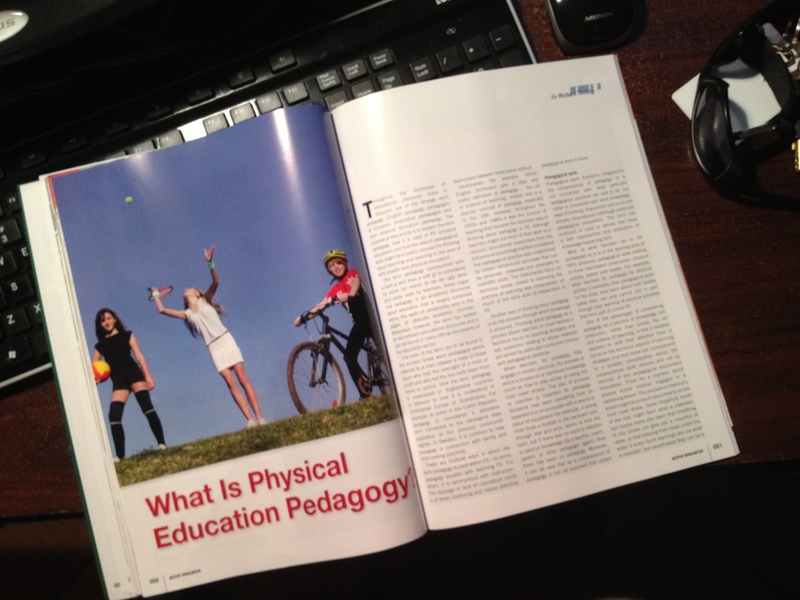 So, I was flicking through and came across an article written by Richard Tinning on pedagogy in Physical Education. I won’t recount it here, but I liked it for a couple of reasons. Linguistically, I got the feeling he chose to “write to the audience of the magazine” (by and large practitioners in educational settings) in way that wasn’t patronisingly simple or, conversely, wordy and complex in abstractions. And he provoked me to think about what “pedagogy” in PE could mean. Anything I say from here on in will be my interpretation of his article. I’m more interested in what you make of it. Feel free to make comments here, or even better – write your own blog post. I’d love to read about it. *I approached Active Education magazine for permission to reproduce the article on Scribd for people that don’t have a subscription (or know to subscribe) to their magazine. I promised to advocate for people to subscribe to the fine mag. But I never heard back (the email request bounced because their inbox was full. Someone needs to monitor their “enquiries@active education.com.au email address more closely). So, Active Education, I’ve gone ahead and probably infringed your copyright by reproducing the article without your express permission. I decided it was too important to be hidden behind a subscription. I’ll take down the Scribd reproduction if you want me to. Posted on September 7, 2012 by Brendan Jones Posted in teacherstuff	.